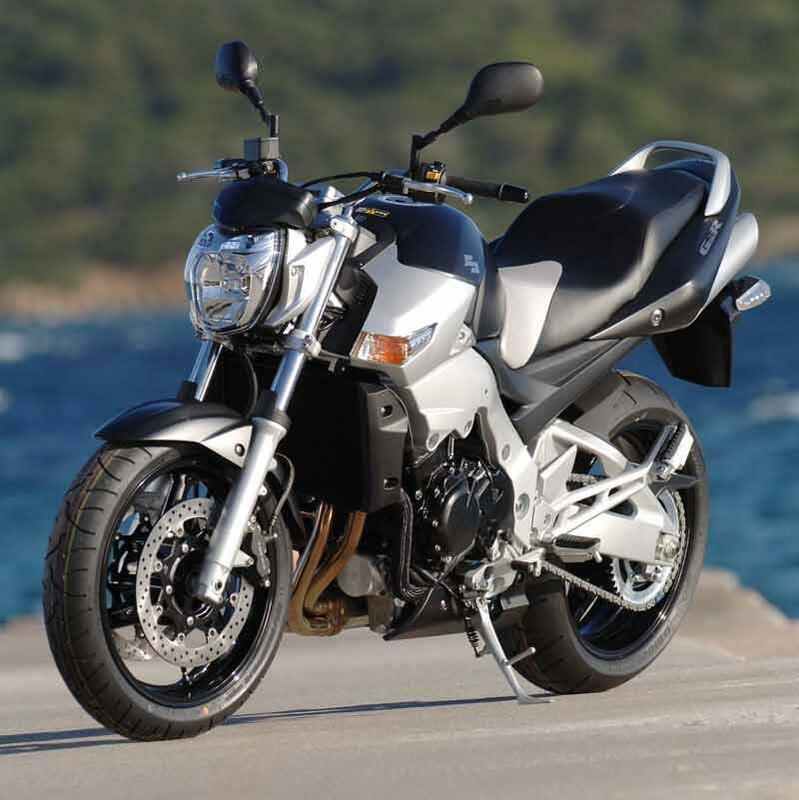 The Suzuki GSR600 is a middleweight inline four in the same mould as Yamaha’s FZ6 and Honda’s Hornet 600. 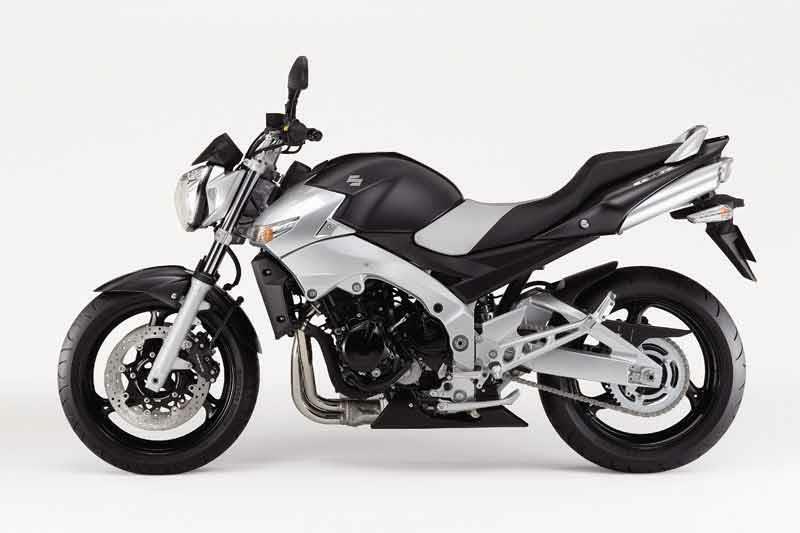 It’s a perfectly acceptable ride, but to be honest the Suzuki GSR600 adds almost nothing to the biking world – especially when Suzuki’s own Bandit 600 (and 650 version) does exactly the same job for less money than the Suzuki GSR600. 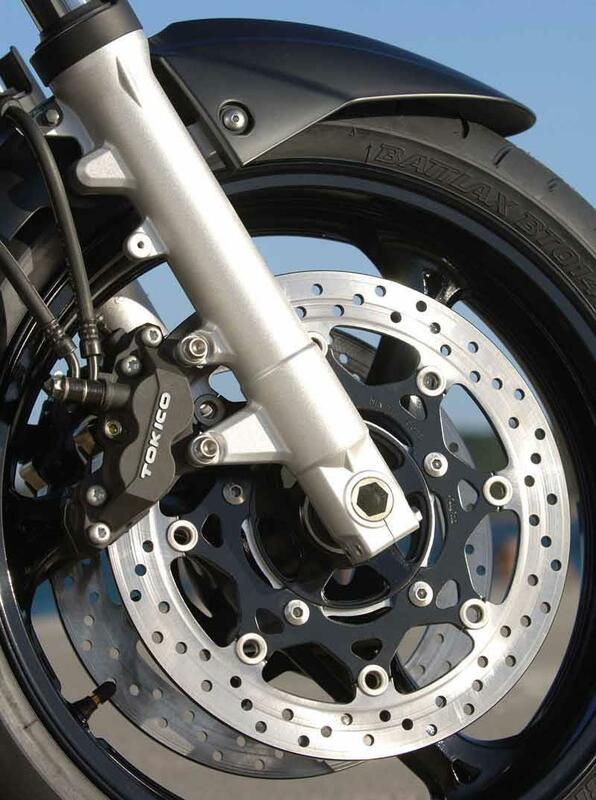 The Suzuki GSR600's shock is seven-way adjustable for preload and rebound but it’s over-damped and harsh. The forks, conversely, are too under-damped and soft, diving and bouncing back like a pogo stick. The Suzuki GSR600's worse traits only bubble to the surface when you push on, otherwise you learn to live with it. The brakes are poor, with little bite. 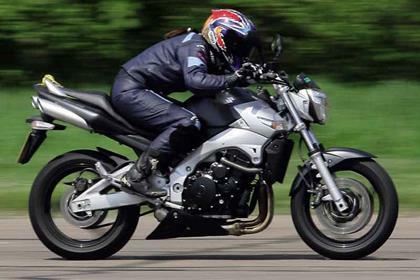 The Suzuki GSR600 uses a de-tuned version of the motor from the GSX-R600 K4 and clips along at a fair rate. The 16v, DOHC motor revs to a dizzying 14,000rpm, but fortunately it’s not as peaky as the FZ6. 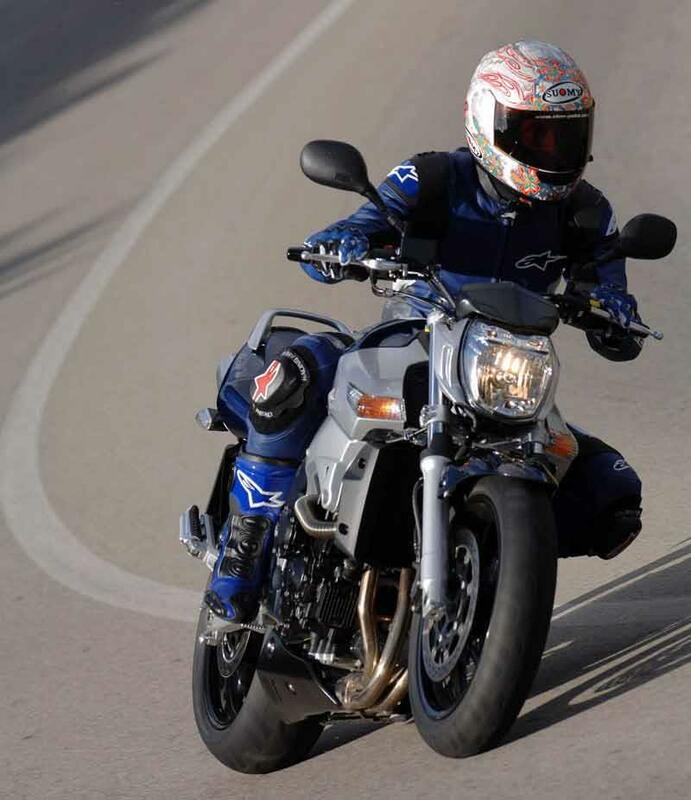 The Suzuki GSR600 has decent torque and overtakes don’t necessitate a dance on the gear lever to be quick and safe. Traditionally Suzuki’s finish is the least impressive of the Japanese manufacturers so keep your Suzuki GSR600 clean or keep it away from salty winter roads or the finish will suffer. 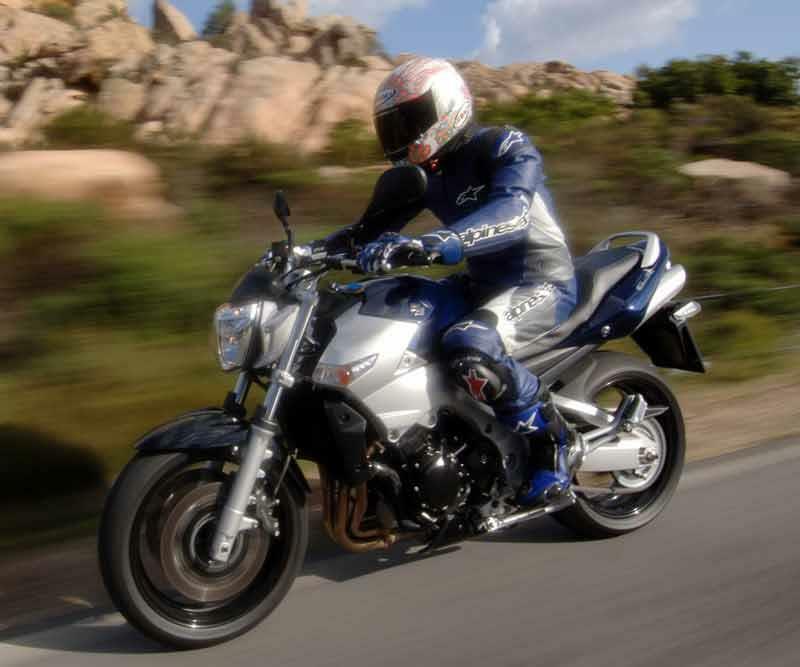 The Suzuki GSR600 is aimed at newer riders – and the competition for their custom, new or secondhand, is fierce, so don’t expect your Suzuki GSR600 to hold on to its value especially well. 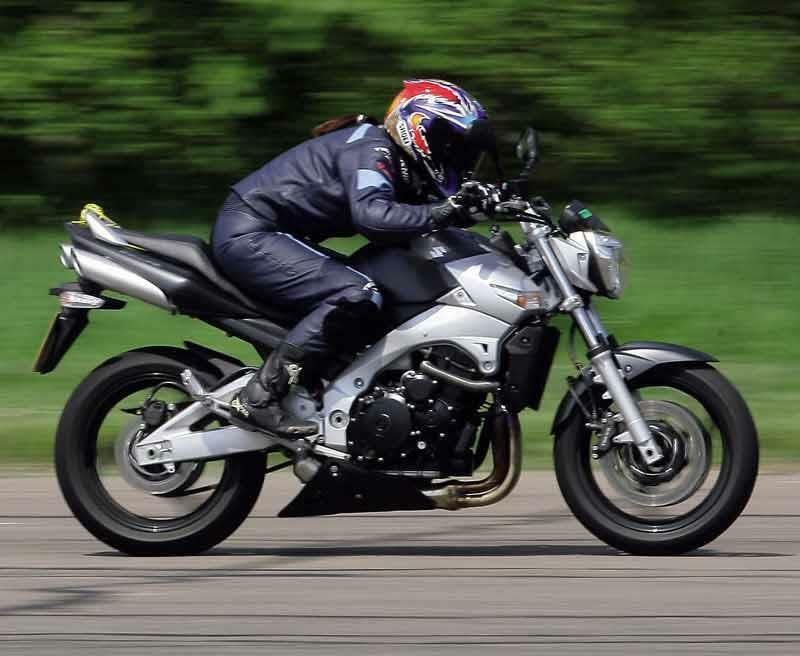 It’s hard to recommend the Suzuki GSR600 over a secondhand Fazer, since most people only hang on to these bikes for a couple of years maximum before buying something bigger. 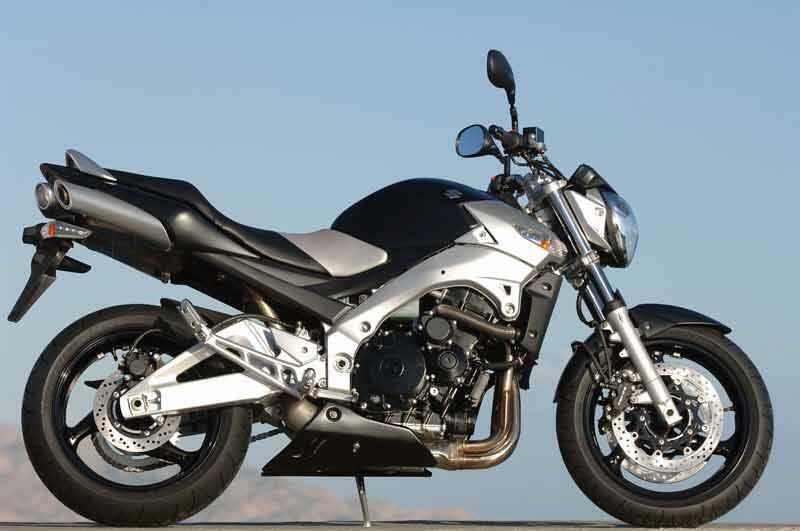 Find a Suzuki GSR600 for sale. 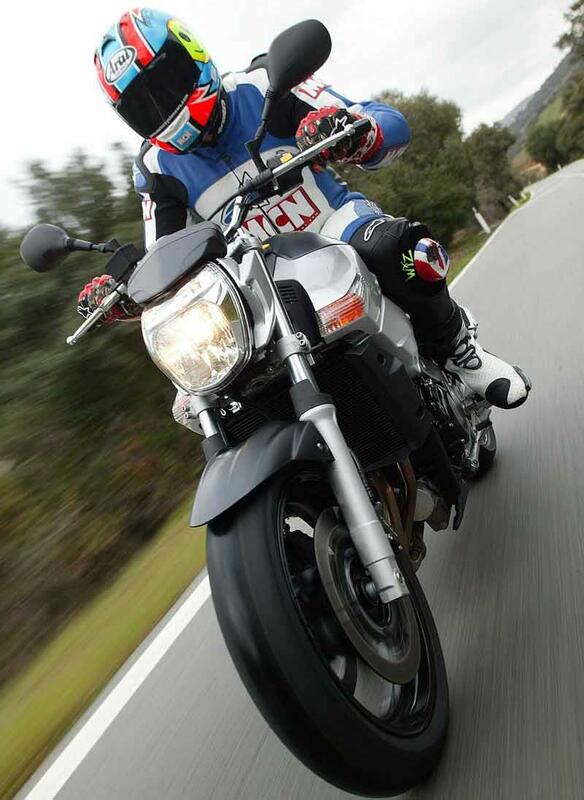 13 owners have reviewed their SUZUKI GSR600 (2006-2010) and rated it in a number of areas. Read what they have to say and what they like and dislike about the bike below. Breaks - Useless. Tank range - Useless. 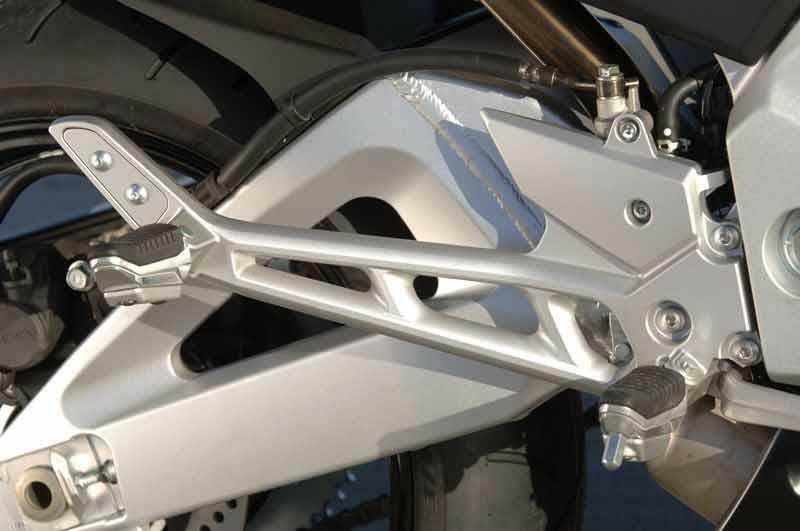 Front forks - Useless. Only owned nine days, dread to think what else I'll find - useless! Superb engine though. I worry about rectifier placement 'engine', can't see that lasting with the heat. As above. A lot useless. Will try upgrades to improve. Pockets of rust around forks. Pitting to footrest assembly. Oh and you'll need to earn a few bob to replace exhaust system! Starts on the button though. Everything is difficult to access. Simple plug change requires tank removal. 50,000 Miles (38,000 of them mine). The GSR is a capable 600. Comfortable commuter with enough sportiness for the weekends too. In the time I have had the GSR it has needed two new R/R, the second replacement I upgraded the loom with larger diameter wires for the charging system (No issues since). The other issue I have had is the output shaft bearing had failed, however I have been assured by my local dealership that this was in fact a freak failure. And one caliper rebuild on the front end. Ride quality is great as long as the suspension is correctly adjusted. Breaks could do with some development, upgrading to EBC sintered pad provides far more initial bite. Solid lump with a strong pull very user friendly. Ignore the poor reviews, what a fantastic 599 cc bike. It's light a lot lighter than say a z800, it's engine is superbly forgiving, it pulls from 6 th gear at 30 mph without any fuss, in fact, my riding twin owns a 16 plate Kawasaki z800 and a 20 mph standing start the gsr was quicker, and quicker at the top end too, we weigh the same, but z800 is almost 70 kg heavier. Swapped bikes and same result gsr is quicker, we not talking loads but it pips it nicely. Handling is great very forgiving, so easily chuck able and super easy to get it down around the twisted, well built for the price, no vibrations rattles.... Would recommend a screen to cut the buffering down if your in motorway a lot. Only down marks on this particular bike is brakes could offer a little more bite, little vague, they stop you no issues but the feel isn't strong enough for my personal liking. Averaging 55 mpg, £60 a year to tax. Great bike. Very comfortable bike, good seat, suspension can be a little soft if pressing on hard, but 99% of the time it's spot on. Little or no vibrations, throttle can be a little off/on at low revs. Brakes lack some feel but they perform well enough. One warranty recall for the Charing resistor pack, but well known I believe 75000 bikes were recalled. Twin trip computers, gear indicator, hazards, twin exhausts, 180-55-17 rear tyre, nice padded comfortable twin seat optional abs. Don't really need much else do you. Why does this bike get a bad review from MCN ? Because it's not a GSXR ? Great value, great fun bike. Very easy to ride, great high revving engine. Safe handling. Looks good. Decent all rounder. Great round town and as mine has the fly screen I can ride at speed all day on motorways in relative comfort. Nice seat height for smaller people like me ! Never had a pillion so can't comment on that. Brakes seem fine ... but haven't taken it on a track so don't know how they would manage with repeated heavy use. Adequate power and high revving capacity, slight snatchiness below 3k but nothing serious. Seven years old - never gone wrong, no corrosion. No better or worse than the Yamahas and Hondas I have owned in the past... not sure where the Suzuki = poor quality reputation comes from. I use fully synthetic engine oil and change all fluids once a year so more expensive that it could be. Parts aren't cheap but not too bad. Bought from dealer. £3200 - good value for a bile with 3000 miles. After many years without a bike and after many months of looking I purchased a suzuki GSR 600 in March of this year. It was in grey and red with red wheels. It has the following extras, scott oiler, crash bungs, rad cover and brake fluid cover, belly pan. I love this bike. It sounds lovely on the stock under seat pipes and I think it looks great as a street fighter. I have been amazed at the mount of people who come up for a chat when Im out on the bike. It handles well, it stops well and seems to be quite good on fuel. For me this has been an ideal bike to return back to biking on. An usd fork, radial callipers and oil radiator would make this bike the perfect street racer. THIS BIKE ROCKS Im very hard to please but this bike pleases and does it well. for the price your getting a bike that looks the part, can be customised, goes like a rocket when you open the throttle (for 600 standards) but very easy to ride around town as well, sport bike handling, comfortable and a 180 rear tyre. What more could you want from a bike you can pick up new for less then £5,000? (if you shop around) The only draw back is the lack of wind protection but that is easily sorted with an after market screen and there are many to choose from, because the bike is able and very willing to do the wrong side of losing your licence speed (130+) you often find yourself taking a wind battering on open roads. This bike should be loved by new and old riders and those in the street fighter scene. Any bad review on this bike is just wrong, No other 600 street bike does or offers what this little dude does. Bought this bike after 2 years riding a CBR600F.  Was looking for a change and looked at the naked 600 market. Tested all of the models available and I instantly fell in love with the Suzuki for both its handling and looks. Performance wise, I can't fault it. Compared to the heavy handling of my previous bike, I found this bike instilled confidence and my riding has improved as a result. Throttle can be jerky at low speeds and when cold, but you get used to it, and as it is a Suzuki I am braced for the poor finish to show, but so far - fingers crossed, 1 year and 3000+ miles down it looks great. Sounds lovely over 7000rpm and I manage to keep up with (most) of the boys. Overall a great bike for both beginners and experienced riders alike, I'd recommend it! Superb engine always has more to come combined with extremely agile handling makes this an excellent prospect in the naked 600cc market. Better than the fazer, better than the new hornet and better than the versys. Snatchy throttle noticeable only when the engine is cold and disappear above third. Fit the rizoma rearsets which are stunning. After a few years tooling around on a gsxr 600 K4 I fancied a change... something less likely to get me banned. So I bought a brand new gsr 600 (in blue). Running it in was a depressing afair to be honest and on the ride home from the dealers I thought about heading back and begging for my old GSXR. But I stuck with and I'm glad I did. Riding at under 7000rpm allowed me to try out the bike's handling and I was very surprised to find it's pretty much flawless straight out of the box. It's nimble and smooth and comfortable and the tyres are absolutely fantastic. After the first service I was able to explore the power. The engine's a retuned gsxr lump, but to be honest, it feels the same as my old gsxr - pretty gutless until 6k and then surges of thrust. I run out of strength to hold on (wind blast) before the gsr runs out of revs in top. Which should help me avoid an instant ban for doubling the speed limit on the motorway. On the whole it's a good bike. Strengths: Handling, engine, looks. Weaknesses: Stand is poo. Forks look like they've been looted from the Bandit parts bin, but they work just fine. Not long had the bike, but so far pleased with the performance. They say it is suitable for the vertically challenged with its low seat height?? but park it next to a Hornet & it looks a far bigger & wider beastie, it is in fact roughly the same seat height as the Hornet, when trying to mount it you will almost certainly kick the grab handle - unless you do ballet or 6ft tall. 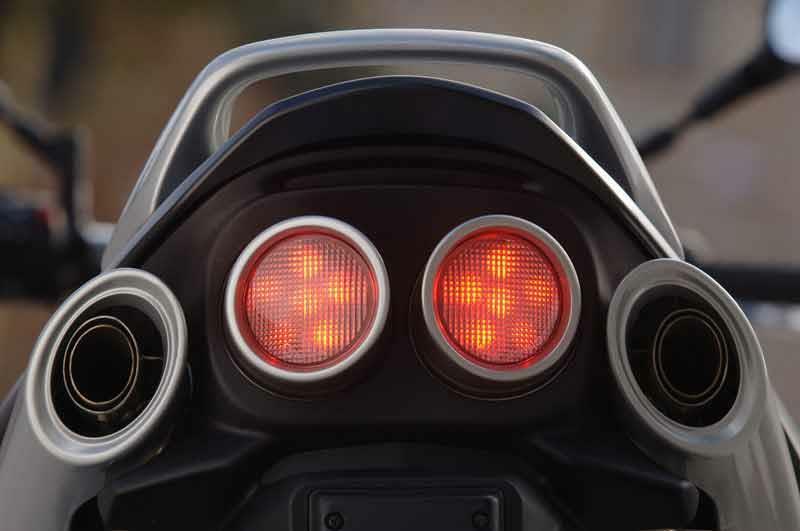 But it'll turn heads & make you grin-twist that throttle listen to the induction grunt & hang on this could be fun!! Strengths: Pulls better than a standard hornet 600, riding position the wind isn't trying to rip your head off, the suspension has adjustments back rebound/preload & front preload only, instrument panel is clear with 2 trip meters, clock,fuel gauge,gear indicator as most Suzukis do, fuel economy is good (haven't worked it out yet) but told by previous owner that it should do 160 miles between topups (watch this space). Weaknesses: Build quality could be better, bits held on with velcro & push clips: ie side panels, seat very weak/flimsy construction, no protection for radiator mesh, sidestand not very good -recommend you fit crash bungs/mushrooms before it falls over like mine did! !